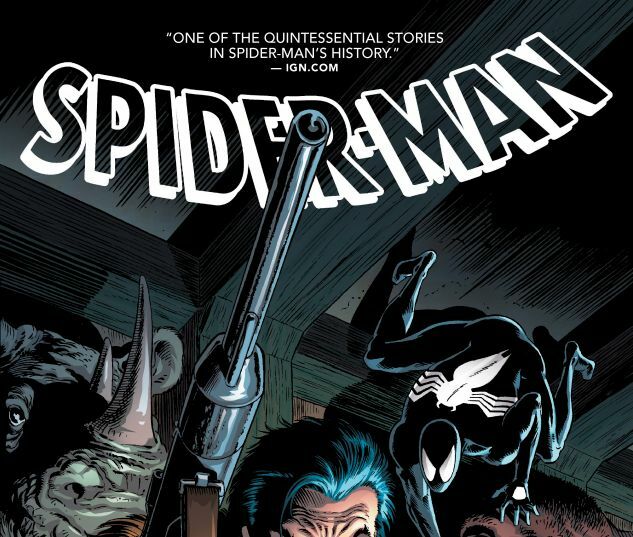 One of Spider-Man’s greatest stories is re-presented in one deluxe package as J.M. DeMatteis and Mike Zeck craft the ultimate tale of revenge! 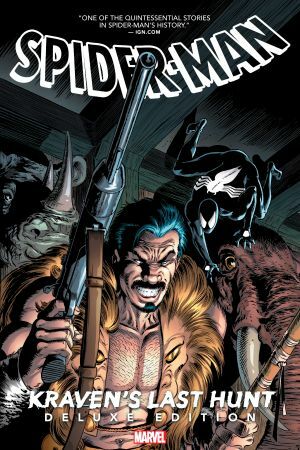 Kraven the Hunter has stalked and killed every animal known to man. But there is one beast that has eluded him. One quarry that has mocked him at every turn: the wall-crawling web-slinger known as Spider-Man. In his last hunt, Kraven will prove he is the Spider’s master — by defeating him, burying him...and becoming him! Plus: DeMatteis and Zeck’s soul-searching sequel! Kraven’s dazzling debut! And more! Collecting AMAZING SPIDER-MAN (1963) #15 and #293-294; WEB OF SPIDER-MAN (1985) #31-32; PETER PARKER, THE SPECTACULAR SPIDER-MAN (1976) #131-132; MARVEL TEAM-UP (1972) #128; AMAZING SPIDER-MAN: SOUL OF THE HUNTER; WHAT IF? (1989) #17; and material from SENSATIONAL SPIDER-MAN ANNUAL ‘96, AMAZING SPIDER-MAN (1999) #634-637 and WHAT THE--?! #3.